Cooking feeds the family but baked goods make them really happy! If you are an avid baker, your kitchen design requirements can be very specific and even differ from kitchens for people who love to cook. Baking is a science, so a kitchen geared toward a baker has specific requirements. 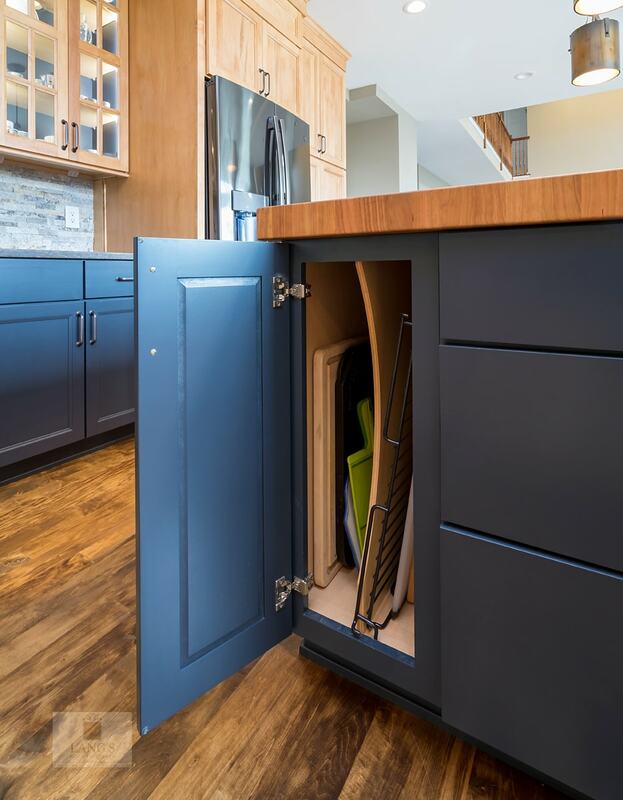 Storage, surfaces, and cleanup are all factors to be addressed during the design stage of a kitchen remodel. Let’s look at dream kitchen design ideas for people who love to bake. Think about how you use your kitchen when you bake and, alongside your kitchen designer, create a workflow tailored to your needs. You should be easily able to access the refrigerator, food prep area, and oven. Prioritize a space for a pastry table in the center of your work zone. Your baking tools and recipes need to be close at hand and trash and recycling should be incorporated into your cabinetry to clear floor space. A well-organized pantry also hugely reduces kitchen clutter and makes everything easy to locate. 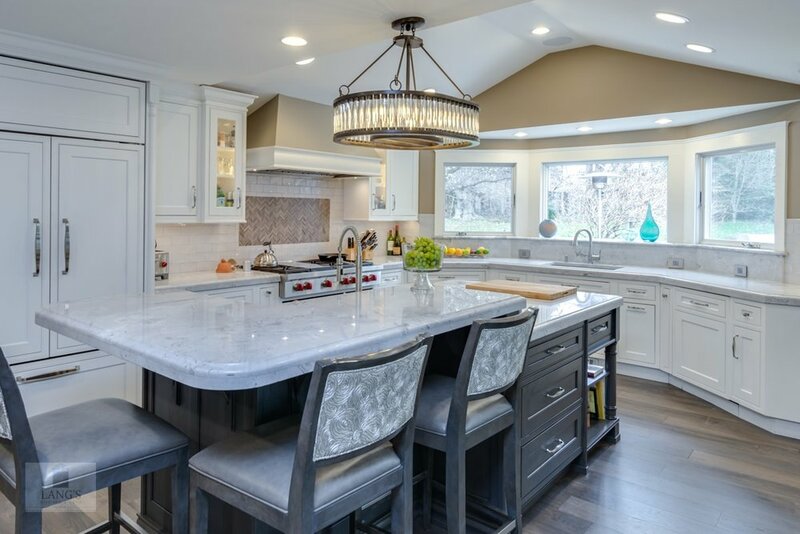 If you spend a lot of time baking, why not custom build the countertops to suit your height as part of a kitchen remodel like this kitchen design in Yardley, PA? You could even look at a lower section for children to bake or include a built-in pull-out step to help them come up to countertop level to help. An island lets you set up all your equipment without feeling cramped. Whether your baking area is on the kitchen perimeter or island, the surface material is a major consideration when baking. Granite and marble are classic favorites for pastry, but quartz and Corian are also excellent, hygienic options as they’re non-porous. The floor where you’re at your busiest is also important. Softer options such as wood or rugs are kinder to your feet, but make sure any surface is durable and easy to clean as baking can be a messy business. Including open shelving in your kitchen design adds interest and means often used ingredients are easily accessible. Items like sugar and flour can be stored in attractive canisters alongside cookbooks. Tray dividers also break up walls of kitchen cabinets and are perfect for storing baking sheets, muffin pans, cutting boards and serving platters. Displaying tools like rolling pins and copper molds personalizes your kitchen remodel and you’ll never lose them! Roll out drawers and pull out horizontal shelving store all kinds of small items from cookie cutters to spices. 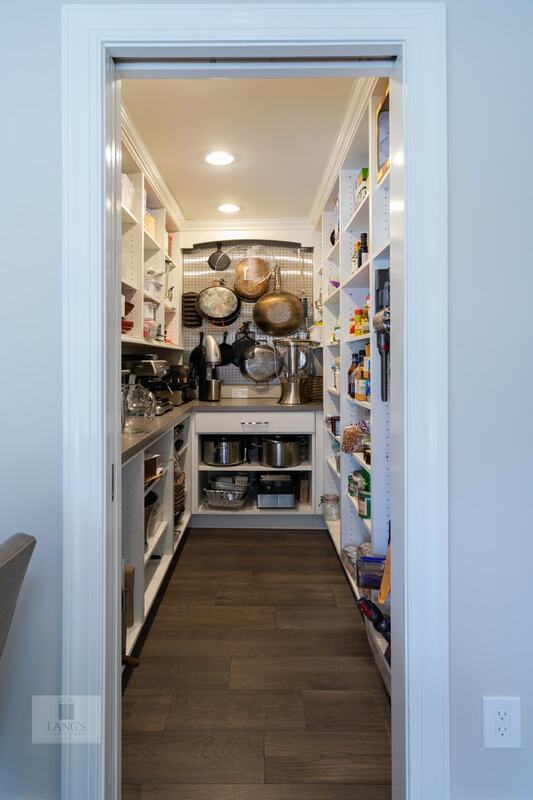 A built-in step makes accessing the top of cabinets a breeze, but if you need more storage in your baking heaven, include a rolling cart stocked with necessities that can be easily moved around and positioned near your baking prep area. Tech Corners are becoming more popular in the kitchen. 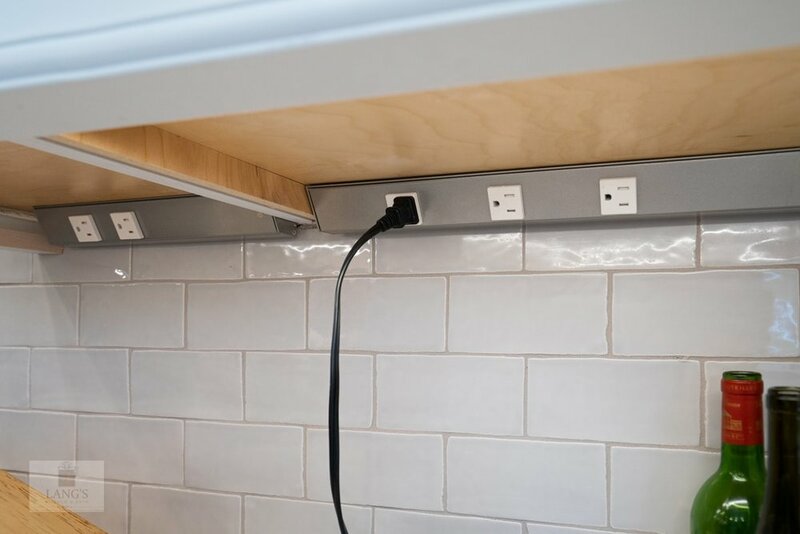 At the kitchen design stage, factor in enough sockets for appliances and tablets and include wire storage and charging stations hidden under the countertop or in a designated drawer. You can watch how-to videos, listen to music, read recipes and use mixers and processors in one area without wires and extension cords taking over. Include angled powerstrips hidden away under cabinets or counertops to plug in all your baking appliances. Which Oven Is Right for You? The oven you have will ultimately determine the outcome of your baked goods, so it’s worth going as high-end as you can. Convection ovens re-circulate heat, resulting in evenly baked pastries and cookies. Steam ovens retain moisture so are great for cakes and breads. Combi-ovens are the perfect way of catering to your different needs. Double ovens let you carry on with dinner as you bake dessert or bread. Wall mounted ovens are the ideal height for avid bakers, if you have the space and budget. Sinks are important for baking fans because, unfortunately, there’s always cleaning up after baking. Undermount models are useful for wiping mess straight from the countertop into the sink. Deep, farmhouse sinks take all pots and pans, ideally with a pull-out sprayer faucet to reach all corners of the sink. Single handle levers, pedal-operated and sensor-controlled faucets are all ideal for use during a messy baking session. There are many stylish and clever kitchen design options out there for the avid baker. If you’re thinking about a remodel, why not contact our showroom today where an expert can get you started? Take a look at our kitchen gallery for further design inspiration for your tailor-made kitchen.